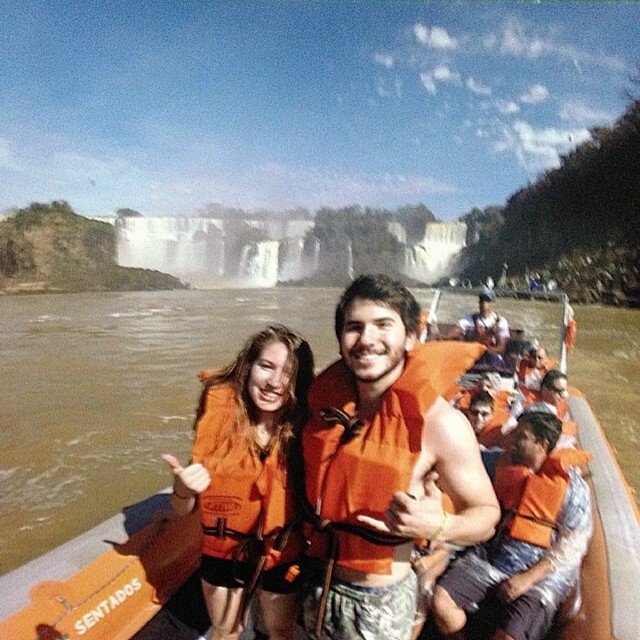 Over the summer of 2014 I got the opportunity to visit Foz do Iguaçu in the state of Parana, Brazil. There are plenty of stuff to do there but I would not recommend staying there for longer than 4 days (unless you intend to adventure into Argentina or Paraguay for a few extra days). 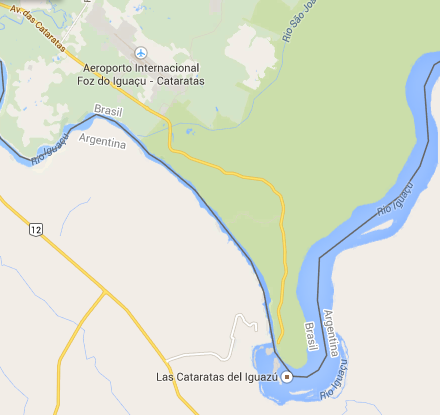 When we arrived in the airport of the city of Foz do Iguaçu and picked up our rental standard vehicle, we drove down the Avenida das Cataratas and saw multiple hotels and resorts along the highway. Most people prefer to stay in those rather than finding a place in the city, since the national park is just 10 to 20 minutes away from any hotel along the road. We stayed at the Harbor Hotel Colonial, on kilometer 20 of the Av. das Cataratas. It is a nice hotel with a pool and a restaurant. The rooms provide you with just enough of what you need. Since we were planning on spending most of our days outside, we did not care much about the fanciness of the hotel. 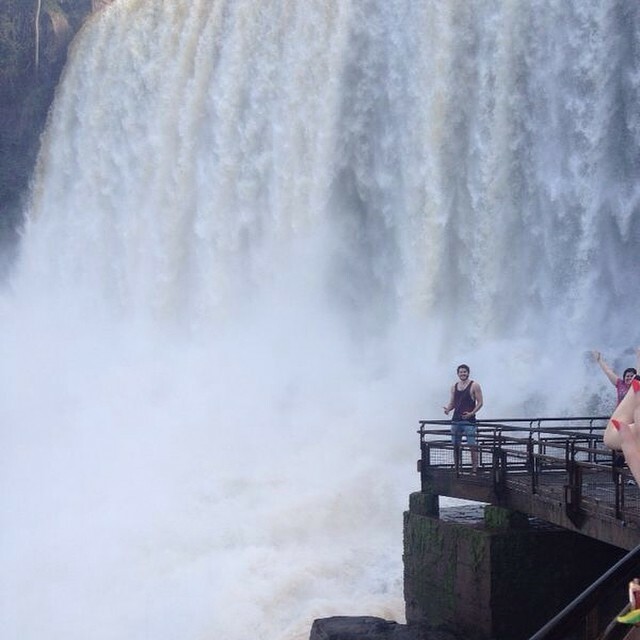 The national park of the Iguacu Falls opens daily at 9am and closes at 5pm. By the time we arrived at the hotel, it had already been closed so we decided to go into the city to have dinner. We had heard a lot of good things about a place named La Mafia, an italian restaurant based on the film The Godfather. And wow, what a unique place. The restaurant is situated in a house that had been turned into an eatery, located in a skinny dark street – perfect scenario for the italian mafia themed place. All the waiters were dressed like in the movie and the rooms were decorated differently from each other, portraying a different scene of the movie. The food was great, and so was the wine. 10/10. The following day we we went to the National Park. They charge you a daily fee of R$52,20 for foreigners and R$31,20 for Brazilians. After you pay, you hop into a air conditioned bus (trust me you will be glad it is air conditioned) which takes you into the park. There is only one two-way road that reaches a final destination at a restaurant, but along the way you can choose to get off at multiple locations to start your trail throughout the falls. We chose to go on an adventure with Macuco Safari, which takes your through the forest and explains to you in english and portuguese a little bit of the history of the place and the different types of trees and animals that live in that ecosystem. When you reach the end of the ride you hop in a boat that takes you under the gigantic falls. Yes, they take you right under one of the largest water falls in the world. It is scary as hell and people had told us that a boat had flipped upside down before during one of those tours. I was holding on for my dear life during the ride, but I could not understand how one of those boats had flipped. They are massive and the pilots do that on a regular basis. There is no need to be afraid about that sort of thing. We also spend the day walking through the trails and taking photos. The scenery is absolutely jaw-dropping. Make sure your camera is charged, and that you bring extra batteries and a plastic bag. The waterfalls are so massive that water sprays all over you and you will get wet, and so will your camera if you don’t cover it. I got to walk on a catwalk over the Devil’s Throat. Yes, they named a place the goddamn Devil’s Throat. This is a massive water fall that kind of makes the shape of a half moon and millions of tons of water go through it every second. It is loud, it is wet, it is nature telling you who’s the boss. At the end of the day, after we finished walking through all the trails in the Brazilian side, dodging hungry Quatis and slapping mosquitos off of our arms, we visited the Parque das Aves (Birds’ Park), where you get to see Rio 1 and 2 in real life. There are so many different birds and walk in cages that at one point a toucan was trying to pick a fight with me. At the end of the tour you get to put a macaw on your arm and take a picture with it. This was our last full day at the tropical paradise so we decided to go visit the Argentinian side. Most of the falls are located on that side, so instead of observing them from a far, now we were walking through them. It was quite the experience as you get a lot wetter. Oh, and make sure that when you cross the boarder you exchange your Brazilian reais for Argentinian pesos, because otherwise you will starve. Our South American neighbors were very receptive and understanding of the fact that I could not speak spanish to save my life. They also have great meat at a ridiculously low price. It is a great place to eat and drink. We used the morning to relax by the pool and read. The previous days had been very hard on our legs, so taking this time off is essential to give yourself a break. Our flight back to Sao Paulo was in the early afternoon and that was the end of our amazing trip to one of the seven wonders of the world. I highly recommend this place to anyone looking for some adventure as you can go skydiving and do white water rafting if you have the guts. The scenery is beautiful, the people are great, the food is impeccable, and it is really easy to get around.